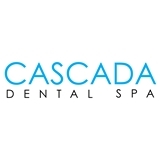 Cascada Dental Spa (New York) - Book Appointment Online! Dr. Tiffany was very informative, patient, and listened to all of my concerns. She gave me options on which cosmetic procedure would be the better option for me, but ultimately let me decide. I am waiting to hear back from her office to see what the next step is. I will update my response but so far, so good. beautiful office and friendly staff! Excellent bedside manner and clean friendly office. Doctor was very thorough during prognosis. I wasn’t able to see Heather, but I saw another dentist whose name I can’t remember but he was fabulous. He made sure to explain all the procedures that I needed to have done and he was very friendly and sociable! The office was also beautiful and very clean and the women at the front desk were nice and helpful.